Sounds easy enough, right? Not exactly! Many drivers have a tough time parallel parking a car or conducting a proper K-turn. Imagine actually turning this ship around? Seems like a daunting task, right? 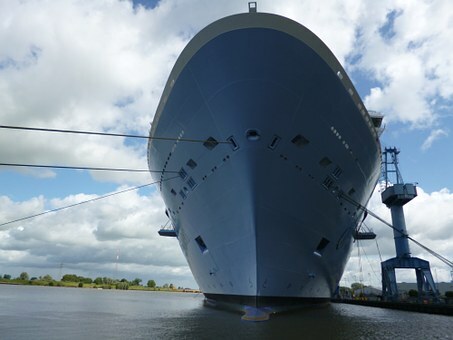 Well, do you ever feel like your business is a mammoth ship that needs turned around? Especially those companies that have been around for a long time. In particular, manufacturers that have layers of processes and systems. Long existing businesses suffer with Sacred Cowititis (I just made that up – sounds like a future blog). You know, those dreaded sacred processes that nobody has the time or energy to change. Yet, you want to change, but how? Just to take that first step, most of us need a playbook. Well, we have just what the doctored ordered. 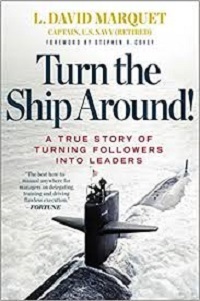 To turn your ship around, grab a copy of the amazing book, “Turn the Ship Around!” by author L. David Marquet. To gain a clear vision of what it takes to “Turn the Ship Around”, L. David Marquet offers explicit details with his highly acclaimed book, “Turn the Ship Around! A True Story of Turning Followers Into Leaders”. 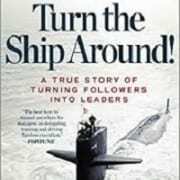 “Turn the Ship Around” is an AMAZING book on leadership, team building and accomplishing organizational goals. Disrupting processes in a bureaucratic organization such as the Navy certainly makes waves (sorry for the pun, I couldn’t help myself). Yet, Marquet did just that. He took over the leadership position of a submarine that had struggled for many years. Marquet instilled empowerment, welcomed constructive feedback, and created leaders who thrived. Captain Marquet graduated from the Naval Academy in 1981. Then served in the U.S. submarine force for 28 years. Marquet was assigned the nuclear powered submarine USS Santa Fe, which at the time was ranked last in operational standing and retention. To “Turn the Ship Around”, he took a new approach to turn the last place ranking into first. He did so by treating his team as leaders and granting autonomy and control. Shifting from the traditional “take control, give orders” approach, Marquet’s crew achieved the highest retention and operational standing in the Navy. After David’s departure from the ship, the Santa Fe continued to win awards and promoted a disproportionate number of officers and enlisted men to positions of increased responsibility, including ten subsequent submarine captains. Furthermore, upon visiting Marquet’s ship, best selling author Stephen R. Covey said it was the most empowering organization he’d ever seen. Covey was so impressed, he wrote about Captain Marquet’s leadership practices in his book, “The 8th Habit”. Marquet concluded his illustrious career when he retired from the Navy in 2009. When the performance of a unit goes down after an officer leaves, it is taken as a sign that he was a good leader, not that he was ineffective in training his people properly. Achieve excellence, don’t just avoid errors. Build trust and take care of your people. Use your legacy for inspiration. Use guiding principles for decision criteria. What it does mean is giving them every available tool and advantage to achieve their aims in life, beyond the specifics of the job. 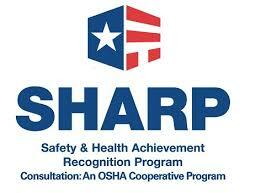 Use immediate recognition to reinforce desired behaviors. Begin with the end in mind. Encourage a questioning attitude over blind obedience. Are you content with the reason “Well, mistakes just happen” when it comes to managing your business? We rejected the inevitability of mistakes and came up with a way to reduce them. Excellence was going to be more than a philosophy statement pasted to the bulkhead; it was going to be how we lived, ate, and slept. CONTINUALLY AND CONSISTENTLY REPEAT THE MESSAGE is a mechanism for COMPETENCE. Repeat the same message day after day, meeting after meeting, event after event. When I’ve conducted this exercise, I usually find that the worries fall into two broad categories: issues of competence and issues of clarity. There was an emphasis on blaming what was happening on outside influences and factors, and the crew evidenced a collective lack of responsibility. How do you respond when people in your workplace don’t want to change from the way things have always been done? What are some of the costs associated with doing things differently in your industry? Do we act first, and think later? Or do we think first, and then change our actions?